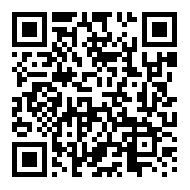 The president of the National Food Safety and Quality Service (Senasa) of Argentina, Ricardo Negri, signed Resolution 263/2018 which prohibits, from the day after the publication in the Official Gazette (10/09/2018), the processing, import, and fractionation of the active ingredients carbofuran, carbosulfan, diazinon, aldicarb and dicofol, and their formulated products. The commercialization and use of these active ingredients and their formulated products will be prohibited from 365 days as of the entry into force of this resolution. 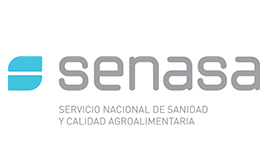 As of that date, the automatic withdrawal of the products will take place in the National Register of Plant Therapeutics, in charge of the National Directorate of Agrochemicals, Veterinary Products and Foods of Senasa. The formulation in 10% carbofuran granules is exempted from this prohibition as it is the only alternative to insecticide and nematicide used in potato and garlic crops. The purpose of the prohibition is to maximize the precautionary measures to prevent production, use and commercialization of products that could seriously endanger human health and the environment, as well as accompany international standards that regulate plant protection products. There is a wide range of authorized products that are equally effective, whose management and use result in fewer risks to human health and the environment. The companies that have enrolled the active principles and/or their products formulated in this national registry can voluntarily request the cancellation of the inscriptions. Companies that have products registered in the registry and that are covered by this prohibition must declare their stock in the National Directorate of Agrochemicals, Veterinary Products and Food of Senasa, within 30 calendar days of the effective date of the resolution, detailing the amount of packaging, capacity, lot and expiration date. Failure to comply with this resolution will result in sanctions that may correspond in accordance with Law No. 27,233, including confiscation, suspension or any other measure that is advisable, according to the circumstances or risk to public health or the environment.